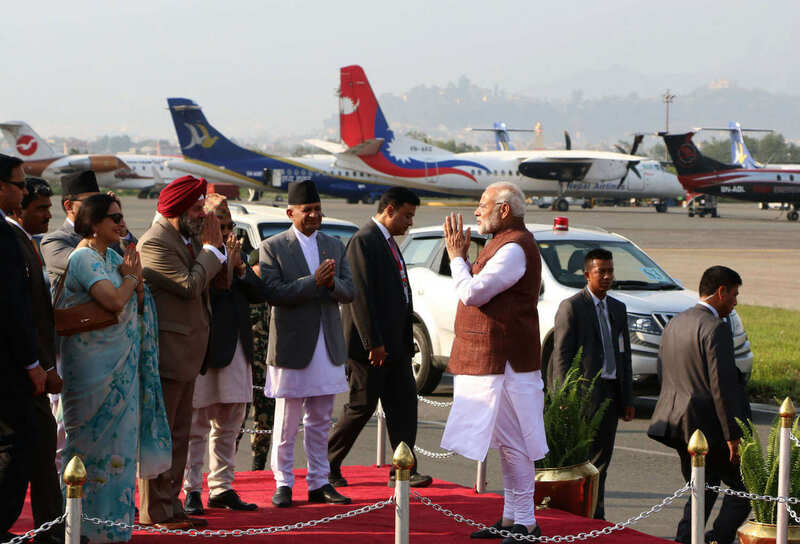 Indian Prime Minister Narendra Modi wrapped up his two-day whirlwind visit to Nepal on Saturday, flying from the plains to the mountains, worshipping at famous shrines, meeting politicians, and giving four rousing speeches. But observers said the visit was high on symbolism, but not much on substance. 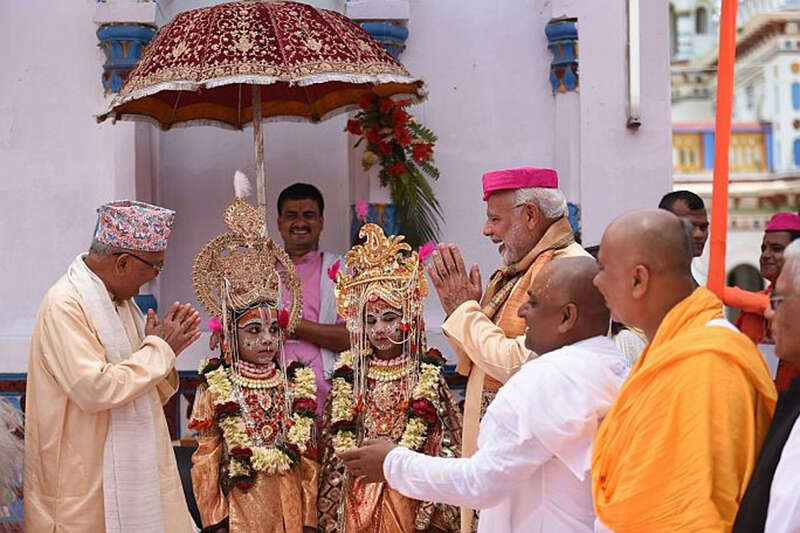 By offering prayers at the Janaki temple, Muktinath and Pashupati, Modi has been able to woo Hindu voters ahead of India’s general elections next year. 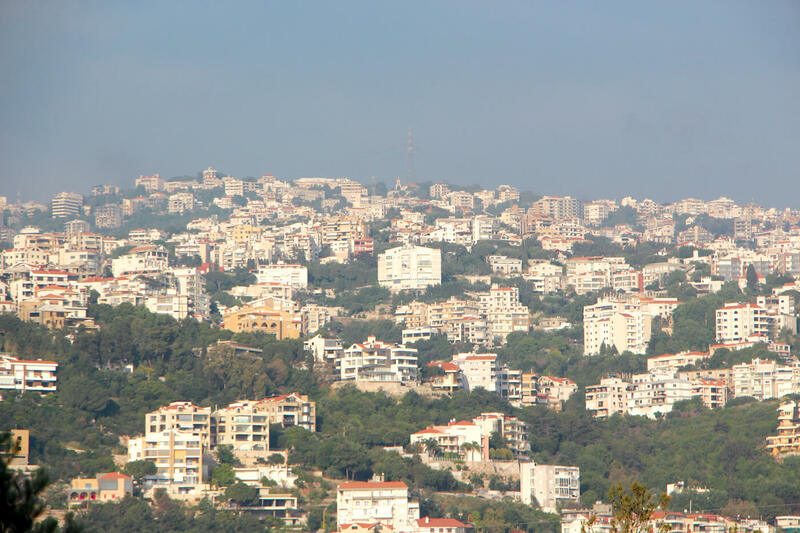 He has also sent across a message to critics at home that his ‘neighbourhood first’ policy is not failing. Modi was campaigning in Nepal — to woo voters at home, and also to restore Nepal-India relations badly bruised by the Blockade. But what did Oli gain? 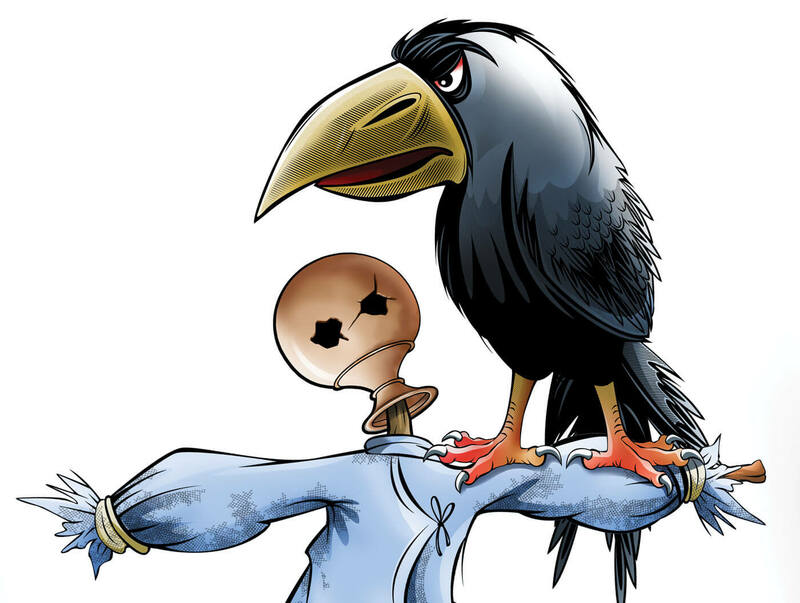 He perhaps got Modi’s promise that New Delhi will not create trouble for his government, and will support him even if Maoist Chair Pushpa Kamal Dahal parts ways. He has also established himself as a national leader in Province 2 where he was widely despised. However, observers note, Oli has lost much of the political capital he had made out of standing up to India. He has lost the nationalist credentials he garnered during the Blockade and elections. Oli is a Modi-fied man. Modi’s visit to a shrine near the China border was a message to Beijing: Kathmandu is still within New Delhi’s sphere of influence. 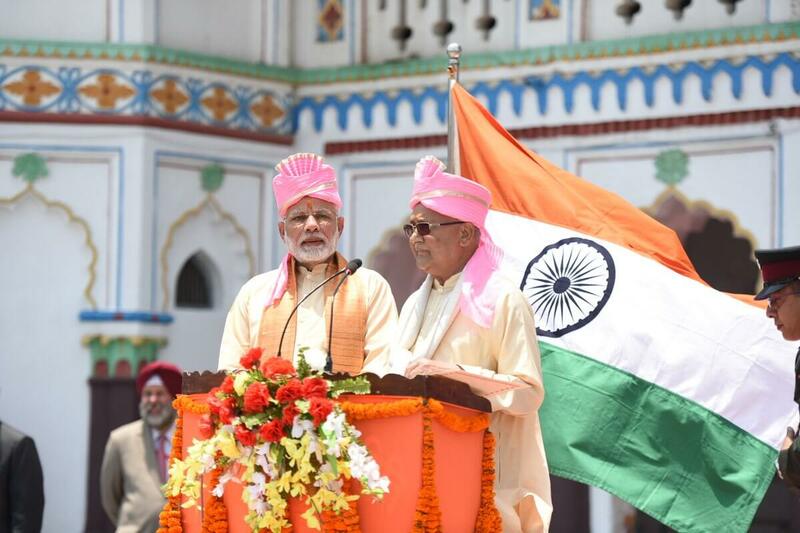 Modi also persuaded Oli to felicitate him on behalf of Nepalis in Janakpur and Kathmandu despite widespread resentment among most Nepalis for the blockade. Early this week, a group of civil society members met with Foreign Affairs Minister Pradeep Gyawali, urging the government to felicitate Modi only on the government’s behalf. 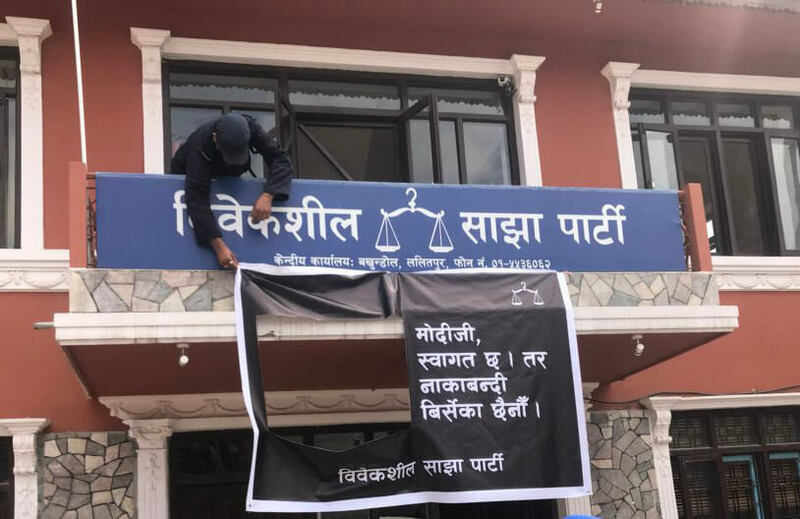 Bibeksheel Sajha party put up black banners at its headquarters, saying Nepalis have not forgotten the blockade yet. On social media, Nepalis asked Modi to apologise for what they say was a crime against humanity. But neither Modi nor Oli paid any attention to what Nepalis were saying and went ahead with the program. Instead, police tore down banners at Bibeksheel Sajha and arrested students staging a hunger strike to put pressure on Modi to say sorry to Nepal. After two days of political meetings and pilgrimages, Modi has been able to send across multiple messages: he cares for Hindus, is loved by not just Indians but also Nepalis, Kathmandu is closer to New Delhi than to China and Nepal-India ties have been reset. However, except a reiteration of commitment to push forward Kathmandu-Birganj railway, inland waterway and agriculture and a few token grants, Modi’s Nepal visit has yielded no substantial results. When Foreign Affairs Minister Gyawali was in Janakpur early this week to take stock of preparations for Modi’s visit, he told journalists that railway, waterway and agriculture agreements will be signed in Kathmandu. But there was just another understanding on these issues, but not a single agreement. 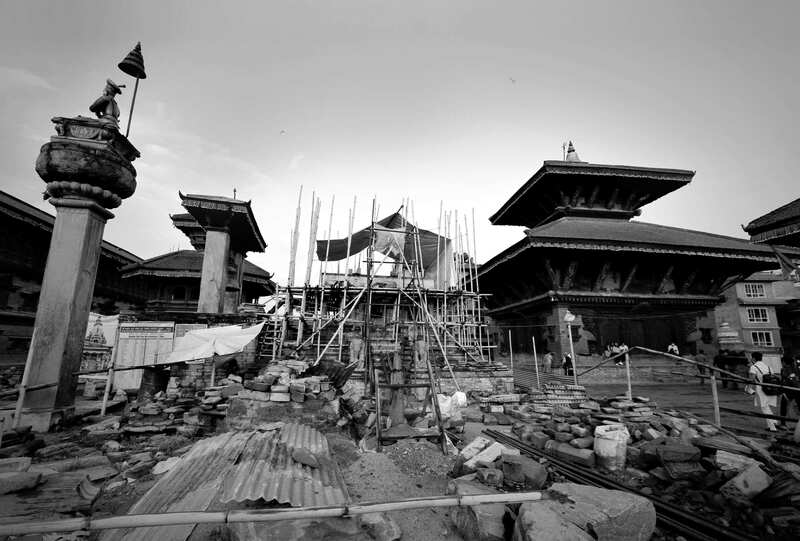 The two PMs did lay the foundation stone of Arun III by switching on a remote in Kathmandu, but that project has been struggling to get going for ten years. 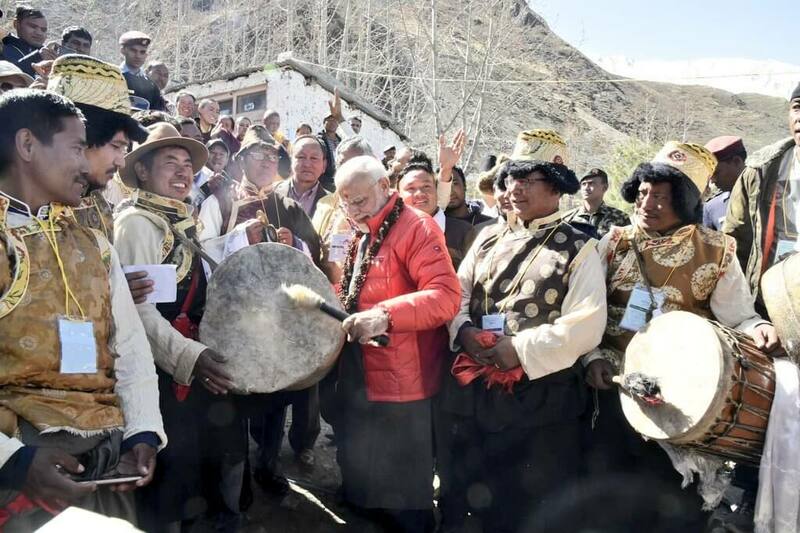 Modi began his second day by flying to Muktinath, a sacred Hindu-Buddhist shrine at an altitude 3,710m. Clad in a red downjacket, he performed a special puja at the holy site, where he is believed to have meditated as a young pilgrim in 1979. Trekkers were barred from going up to and descending from Thorung La, a popular pass for hikers, for security reasons. Modi wanted to visit this temple near the China border and Janakpur where he arrived on a direct flight from New Delhi on Friday. This was his third visit to Nepal in four years, and he had wanted to do this pilgrimage during the 2014 SAARC Summit. But the Nepali Congress government at the time had refused to allow Modi to make the side trip, fearing that it would polarise Nepalis at a time when the country was gearing up to promulgate the new Constitution. 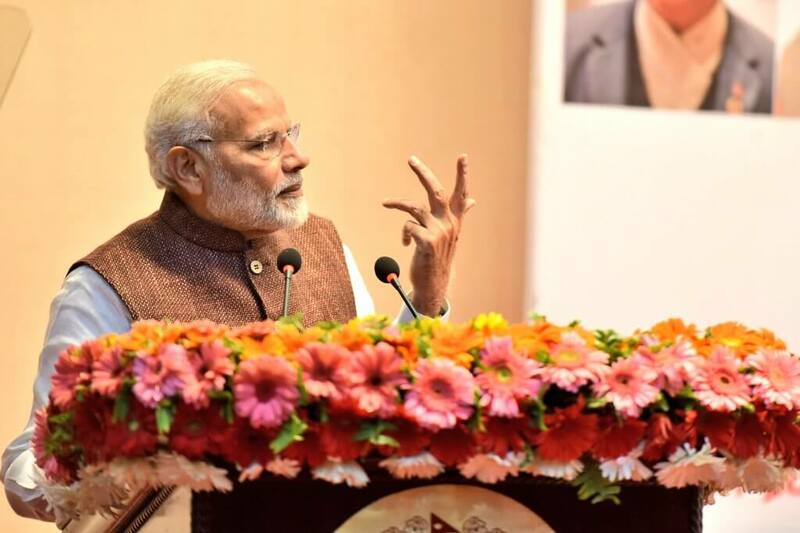 Analysts say Modi took that rejection as a personal affront, and tried to prevent Nepali leaders from pushing through the Constitution in September 2015 citing Madhesi resentment. He also imposed a five-month blockade on Nepal, which was devastated by a 7.8 magnitude earthquake. In the wake of the Indian blockade, Prime Minister K P Oli had played the nationalism card to the hilt, signing a trade and transit treaty with China reducing Nepal’s dependence on India. An alliance between his UML party and the Maoists won a near two-third majority, riding the nationalism wave. 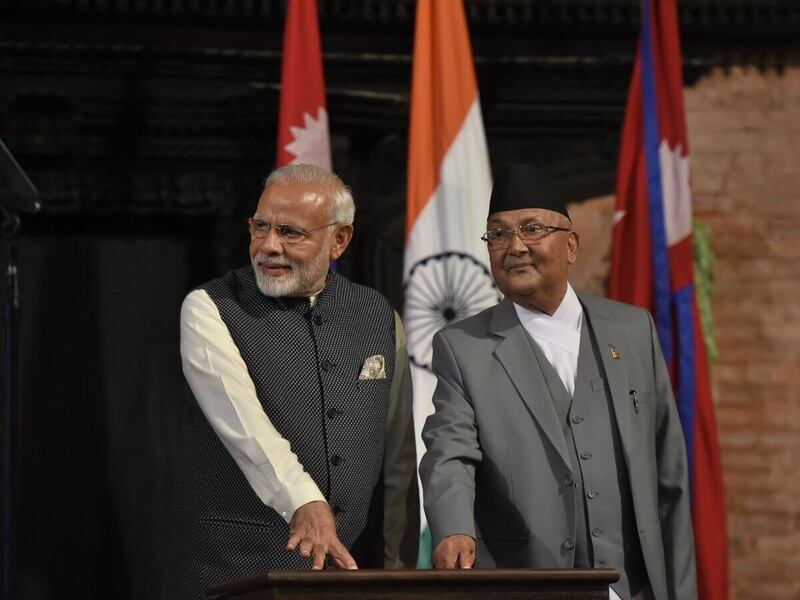 But Modi seems to have been able to charm Oli out of China’s embrace, inviting him to New Delhi last month, and visited Nepal at Oli’s invitation just five weeks later. Only time will tell if his charm offensive this time has worked, like it did in his 2014 address to Parliament.